Because it's not good to wash your hair every single day regardless of whether you have oily or non oily hair. Why is it not good to wash your hair every day? Because it will strip off the natural oil that protect and keep your hair healthy and soft. So how often should I wash my hair? It varies and depends on your hair type. But it's recommend that you should wash it every other day. FYI, I actually asked myself those questions OUT LOUD and answered them OUT LOUD while I was typing it. Told ya, I amused myself at times. 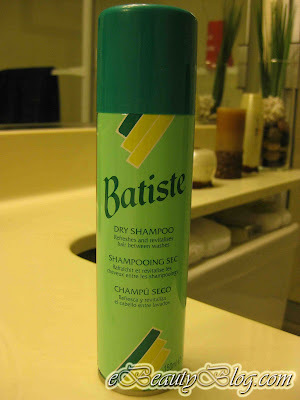 So here's the Batiste Dry Shampoo. It has decent reviews on Amazon, blogs, and etc. So I gave it a try because I'm easily convinced by reviewers and because I got $10 bucks to spare. Actually, it's $8.61 to be exact. Got it at Sallys Beauty Supply. Amazon sells the same size for $15. Boy, am I glad I got a better deal. Yikes, extra bucks for mints. What it claims to do: "the in-between shampoo perfect for hair that feels greasy and lifeless between washes. Quick and convenient to use at home or on the move. Leaves your hair feeling clean, fragrant and full of body." WHOAAAA!!!!!!!!!!! After spraying it on my hair.....not so pretty right? Here's the aftermath......still not so pretty, in my view. + It did take the greasy away. For a little bit. + Easy to use. Just spray and spray. And spray. + Not so messy as it looks. - Hair still feel dirty afterward. 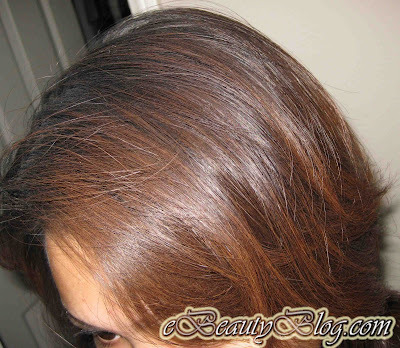 - Left white residues on hair regardless of how well I massaged and brushed it off. - My hair feels heavier!!! I bought it because I want clean, fresh, and non oily/greasy hair but I didn't get any of those. It did take the greasiness away but my hair still feel dirty and to top it of, it feels so much heavier. Will not buy again! I should just try baby powder!! After I got so many comments & emails saying that I didn't use this product properly. That I put on way too much product...etc. So after trying it so many times with lesser product each time. I found that it does work better but still not great! My hair doesn't feel as dirty but it still feel heavy. And of course with lesser product, the white residues will be less but it's still there. My final verdict is still BABY POWDER! Wow I've never heard of dry shampoo.. but I wonder if that stuff actually works or if it's just a gimmick. For greasy hair, I suggest a little bit of baby powder to soak up the oil. OH gawd! I was seriously going to come find you, where ever you are to play with your Bentley ahhaha. Hrrm have you tried wetting the left over white residue (after you rub it in or wipe it off) with water and then blow drying? That's what I do to fix the problem of white residue. Haha thank you! You... trash bag???? NUUUUH-UH! I love your hair and necklace =). Oh, I'll probably make the bacon wrapped scallops again before the end of this month. But this Sunday I'm planning on making a ziti casserole with zucchini, feta, and sausage... basically a baked pasta dish =)! I'll do a picture tutorial of it. aww thanks for that..haha :) i don't have perfect skin! concealer is my bestfriend!!! I just Love Batiste Dry shampoo!!!!!!! I am sorry that you did not have good results but I use it all the time and just love it. I am a blonde with very fine hair. I obviously do not have the same problem you did with left over white powder, but when I do get it on my clothes accidentally I find it easy to brush off. But most important I find that the "heaviness" adds an amazing amount of volume that no amount of mousse or gel can ever accomplish. I use it before a big night out, and when I am retouching myself up after a day at the office. I can't remember what I ever did with out this product. You used way too much! Spray in light sections directly at the roots from at least 6 inches away. Rub and leave for a few minutes then go back and rub/brush out leftover product. I find this product best for spraying at my bangs before going out. Revolumizes. Good luck all. The first ingredient is Butane. Butane is used as a lighter fluid. Pretty scary stuff! Really? I have very dark brown hair, and I use batiste but it looked like a newer version :S and it was cheaper... and it worked sooo well... It leaves a tiny bit of residue but I just rub it in. Honestly, you used WAY too much... but anyways it is your choice if you use it or not, personally I love it! I love this product. I use it little by little and massage it in as I go. I've had nothing but good results. I've never put so much on that is looks like my hair is white. You only need a little at the roots to take away the greasy look. In fact it makes your hair much more manageable. Great if you want to do an up do or add body. I give it 4 out of 5 stars. Hey! I have to agree with other users that you used a bit too much. I have a lot of fine, medium brown hair (mousy brown) and I definitely didn't go white like you with Batiste. Also, it seems to come out white if you are not shaking alot before AND in between sprays. The scent reminds me of cheap hairspray. My hair doesn't look freshly washed, but it looks a lot better. I could definitely go out in public after using this. I'd give it 4 out of 5 stars. I am a little disturbed that it has butane, isobutane and propane! Yikes! Just how flammable is my head now? The writer of www.ebeautyblog.com has written a superior article. I got your point and there is nothing to argue about. It is like the following universal truth that you can not disagree with: Waiting for an ATM is much more frustrating than waiting for a bus I will be back. I wonder if baby powder will work? I used to use "Sea Breeze" antiseptic, on my scalp to dry up the oil, in between washings, when I was about 16, and it seemed to work, but that is probably pretty harsh on the scalp. I remember "Psssst" dry hair shampoo, LOL, anyone else? This stuff looks kinda like I remember that looking. Peace! 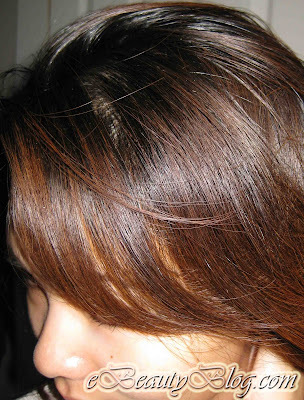 You should try the Bumble and Bumble hair powder spray or the frederic fekkai dry shampoo. The B&B one has many shades of color to match your hair so you don't get the white powder wig look and the fredric one is colorless. Hope that helps because I love dry shampoo. did you keep it far away from your hair? because i found that the further i sprayed it, the less it left the white powder. The can says at least 30 cm but I probably sprayed it from further. No white powder was left for me, especially once I massaged it. Lols, cause if you'll use it try just a little farther away from your head then youre set and ready to go. Harry Styles uses it he's a member of a band called one direction.and probably most hair stylists prefer batiste cuz even lou teasdale , the bands hair stylist and is an outstanding hairstylist prefers to use it . And this is the first dry shampoo and the last ill ever use.